We love Luis! Come meet Luis Moya, one of our favorite importer/producers in the whole wide world (seriously!) 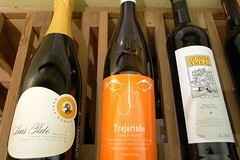 and taste a selection from his portfolio of fun, distinctive wines from Portugal.